If you are a foreign company looking to land lucrative Defense and Homeland Security contracts, consider applying for the International Landing Zone (ILZ) program. 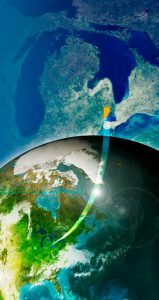 Situated at the Michigan Defense Center and within Michigan’s defense corridor, the ILZ provides space for international companies interested in exploring the feasibility of opening or expanding operations in the United States. Companies that submit successful applications will be invited to conduct an interview with the Michigan Defense Center team and key partners. Submit a completed application to determine eligibility at the Michigan Defense Center’s International Landing Zone. The Michigan Defense Center directors and key partners will invite successful applicants to participate in an interview. Applicants who have successfully completed both the application and the interview will be notified of admission to the ILZ within five business days. Companies selected to locate to the International Landing Zone will be invited to move in to their designated space for a six-month period. Michigan Cyber Range: Test. Teach. Train. Michigan is where the worlds of commercial auto, military vehicles, robotics and aerospace align. Here, R&D, talent and testing come together in a symbiotic relationship and cyber is the link between these vehicles of the future. Vehicles are no longer just steel and rubber but platforms for complicated and interconnected communications and computers. Commercial vehicles currently have up to 200 million lines of code that must be tested and protected. Autonomy is no longer a futuristic dream. 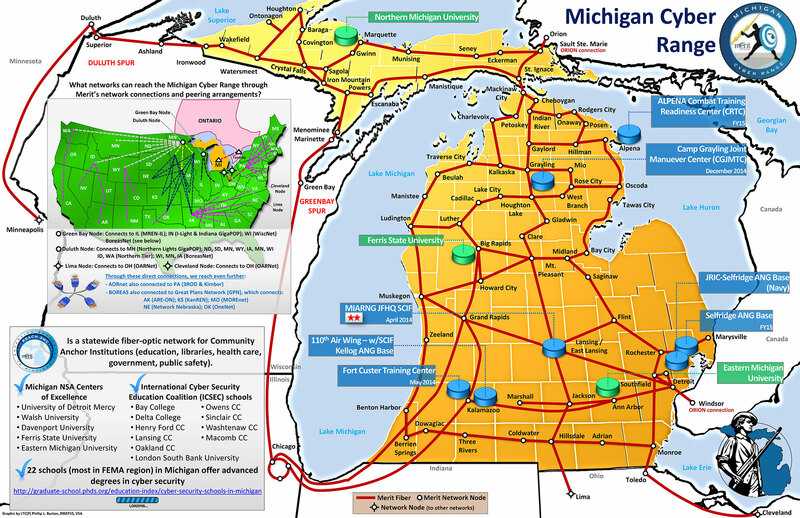 Their reality requires protecting these systems; that’s where the Michigan Cyber Range (MCR) comes into play. An unclassified, private cloud operated by Merit, the MCR delivers cybersecurity classes and exercises and enables product development and testing to clients and Merit members across the nation and throughout the world. Michigan has more unclassified cyber hubs than any other state in the nation, making us the “go to” place for students, workforce professionals, academia and government to test their skills through various hacking exercises. Via these cyber hubs, these entities are able to gain educational experience, and validate the security of software technologies and perform penetration testing on their networks.